KNCV Tuberculosis Foundation is proud to bring the Holland Pavilion to the 49th Union World conference on Lung Health. 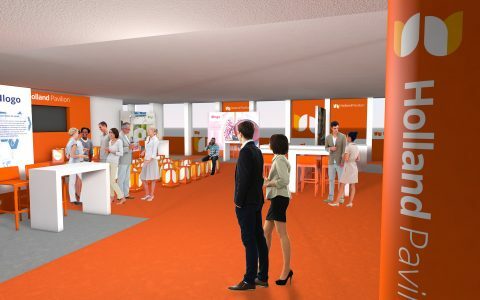 The Holland Pavilion is a vibrant meeting space for conference participants, showcasing Dutch innovation power and state of the art developments in TB, lung health, global health and other related topics. The Pavilion is centrally located at the middle of the conference center in the Onyx Lounge. There will be a daily activity program with presentations, film screenings and meet the expert sessions. Our partners in the Holland Pavilion are: Delft Imaging Systems, Philips, Topicus, Sanatorium Zonnestraal, National Institute for Public Health and the Environment, Municipality Health Services, The TB Researchers Network, Hivos, AFEW, PharmAccess and ChallengeTB. Come join us!